How is Paxil CR Used in the Treatment of Social Anxiety Disorder? 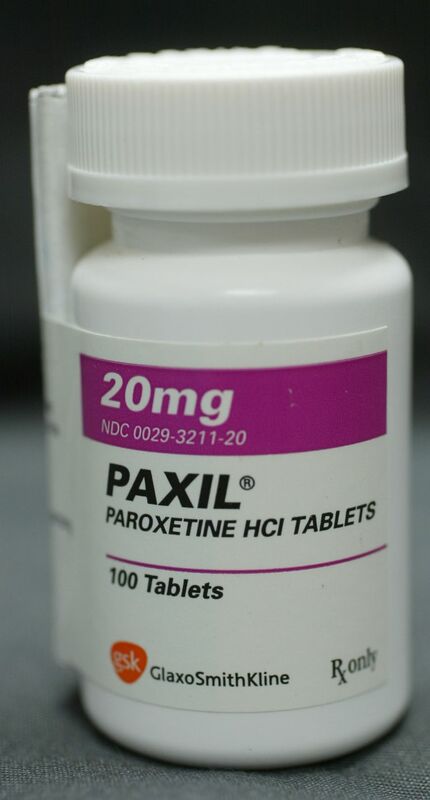 Paxil is the brand name of the generic medication paroxetine hydrochloride. Paxil is a prescription medication used to treat depression, anxiety disorders, and other serious mental health problems. Manufactured by GlaxoSmithKline, Paxil was the first medication approved for the treatment of social anxiety disorder (SAD). Paxil CR is the longer-acting, controlled-release version of Paxil. A selective serotonin re-uptake inhibitor (SSRI), Paxil slows reabsorption of the chemical serotonin in the brain. Serotonin is believed to play a role in the regulation of mood and anxiety. Paxil comes in tablet form and must be swallowed whole—not chewed or crushed. It is generally taken once per day in the morning, with or without food. If you forget to take a daily dose, take it when you remember. However, if it is close to the time of your next dose, it is better to skip the missed dose altogether. It is important to continue taking Paxil as long as your doctor instructs, even if you begin to feel better. If you abruptly stop taking Paxil, you may experience withdrawal symptoms such as dizziness, abnormal dreams, and tingly sensations. To avoid these symptoms, your doctor will slowly taper your dosage when you stop taking Paxil. For people with SAD, typical dosage of Paxil CR starts at 12.5 mg, with increases of 12.5 mg weekly, although there can be variability in these doses and increases. In general, elderly people will be given a lower dose. The effectiveness of Paxil in children and adolescents has not been studied and the medication has not been approved for people under 18 years of age. There is some evidence to suggest an increased risk of suicidal thoughts and behaviors in children taking Paxil. Paxil should not be taken in combination with, or within weeks of taking monoamine oxidase inhibitors (MAOIs), thioridazine, or pimozide. The result of such combinations can be fatal. Caution should be used when taking a number of other medications in combination with Paxil, such as anticoagulants and anti-inflammatories. Consumption of alcohol is also not advised while taking Paxil. In general, you should inform your doctor of any prescription or over-the-counter medications, or any other substances that you are taking or plan to take. When first starting Paxil or when changing dosage, watch for more serious side effects such as agitation, hostility, panic, extreme hyperactivity, and suicidal thoughts and behaviors. If you experience any of these symptoms, it is important to report these to your doctor immediately. For some people, Paxil may interfere with judgment, thinking, and motor skills. It is important not to operate dangerous machinery or participate in hazardous activities unless you are sure that Paxil is not affecting you in this way. If you've been prescribed Paxil, you may be worried and wondering what to expect. Take a deep breath, and know that your doctor has chosen this medication as the best form of treatment for your social anxiety. If you are still concerned or have further questions, don't feel embarrassed to ask them or have a family member ask. The more informed you are about your medication treatment, the better of an experience it will be. Below is a list of other related anxiety medications that you could be prescribed. Bezchlibnyk-Butler KZ, Jeffries, JJ, eds. Clinical Handbook of Psychotropic Drugs. Toronto, Canada: Hogrefe & Huber; 2003. Food and Drug Administration. Paxil Prescribing Information. Accessed January 31, 2016.